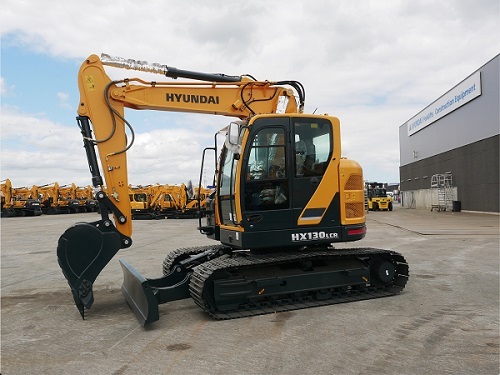 A few months away from the Bauma exhibition, Hyundai has completed its range of HX track excavators by adding 2 new models: the 13-tonne HX130 LCR and the 90-tonne HX900 L.
The HX900 L is one of the machine of its category from Hyundai. This track excavator of 90 tonnes has been designed for heavy loads and rough conditions. 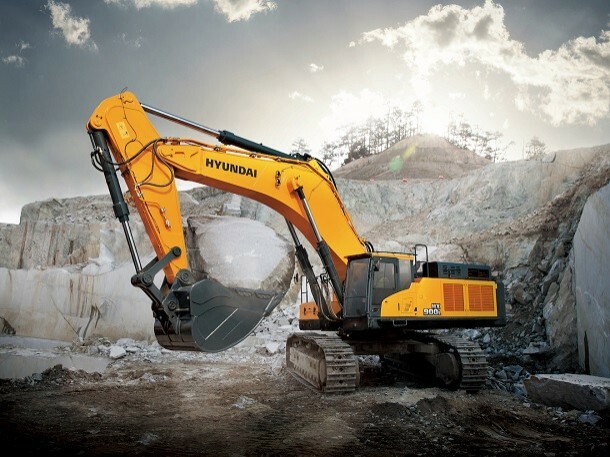 With 641 hp output, it is perfect for mine and quarries, or other harsh conditions. The manufacturer has focused its efforts on the sturdiness and durability of this new model : reinforced armoring, increased maniability and stability, high rigidity of the boom... Like every HX models, the standard warranty is 2 years (or 3000 hours). The HX130 LCR excavator can be equipped with a bucket with a capacity of 0,59m3 (width 1030 mm), as well as a dozer blade for a second configuration. This 13-tonne excavator with small footprint is ideal to operate in small areas. The version with a two-piece boom increases its reach and offers a certain advantage for work in urban areas. Its diesel engine of 73,6 hp, equipped with a FAP, meets the latest antipollution norms. The machine has an advanced hydraulic system and lots of features : levelling mode, intelligent power control, panoramic supervision system (optional) etc.